Hooray! Hooray! The Barber is coming. Co-Opera is coming to town! Co-Opera’s hilarious new production of Rossini’s The Barber of Seville captures the troubadour tradition of the travelling Italian Commedia dell’Arte. For 27 years Co-Opera performers have been Australia’s operatic troubadours and this wacky new production, brimming with laughter and sumptuous costumes, is here to transport the magic of that tradition to audiences. 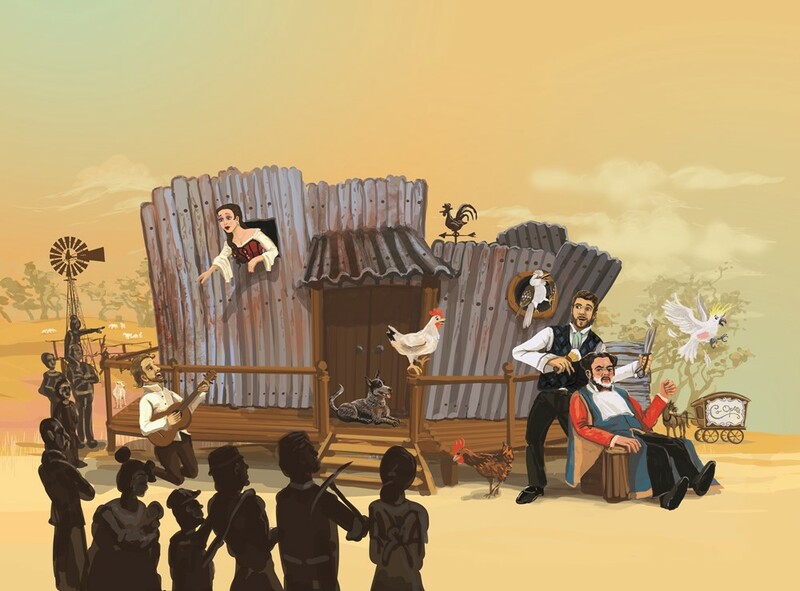 The Barber of Seville is the best known and most popular work in comic opera and Co-Opera’s new production, set in the Australian goldfields of the 1880’s will show you why, in a story of mistaken identity, misplaced affection, and the mysteries and mischief of young love. With a cast featuring some of Australia’s finest emerging opera artists and accompanied by a wonderful chamber orchestra under the baton of Joshua van Konkelenberg.